Take gaming to the next level. 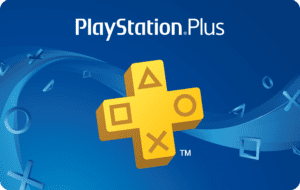 Become a member of PlayStation®Plus today. Join a global community of players. Purchase this product now and earn 500 DigiiPoints! Sign into the PlayStation®Network. If you don’t have an account, create one at playstation.com. 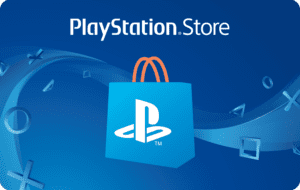 Go to PlayStation®Store on your console or via our website. Select the “Redeem Codes” option (for PS Vita, first tap the Options icon at the foot of the screen). Enter the 12 digit voucher code and then select “Continue”. Follow the on-screen instructions to redeem your voucher code. You may cancel your order within 14 days from date of delivery of the voucher code and receive a refund of the purchase price. For cancellation and refunds, please email us at hello@digiistore.com or telephone us on 01799 243020 or write to us at DigiiStore Limited, Saffron House, Saffron Walden, Essex CB10 1AA. © Identity Creative t/a DigiiStore - All prices include VAT. The product names used on this website are for identification purposes only. All trademarks and registered trademarks are the property of their respective owners.